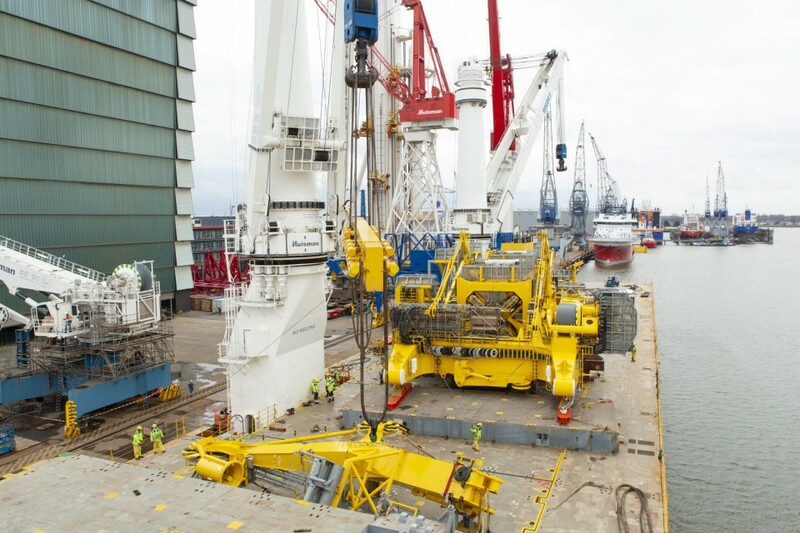 Happy Star loaded a Vertical Laying System (VLS) at the quayside of Huisman Equipment, Schiedam, in the Netherlands, beginning of April 2018. 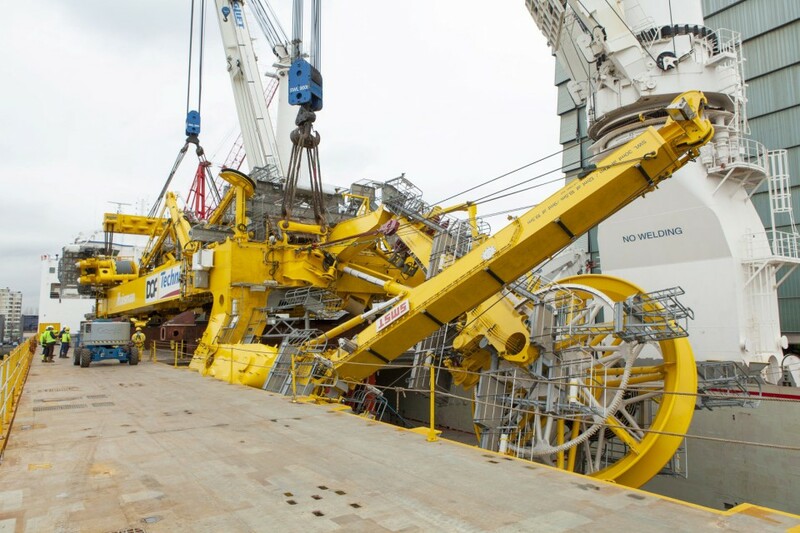 Huisman manufactured the laying tower, which has a weight of 1,200 mt, for the Offshore Construction Vessel “Skandi Olinda” which is being fabricated in Suape, Brazil. 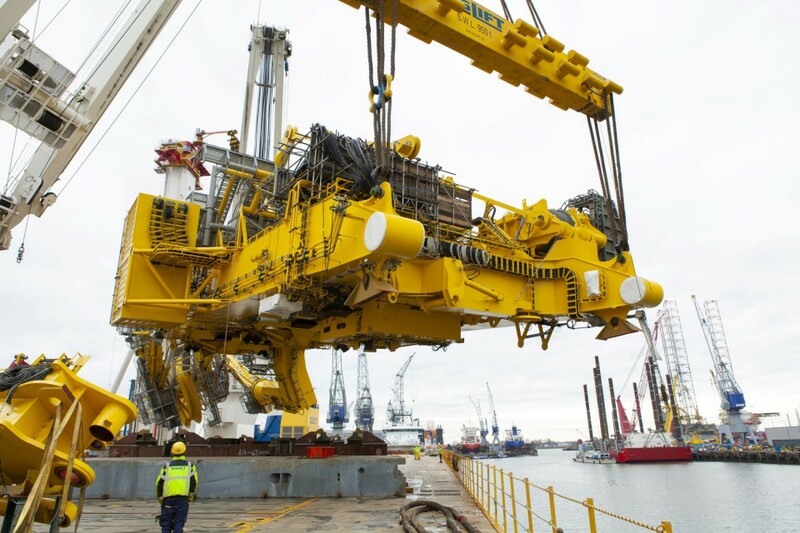 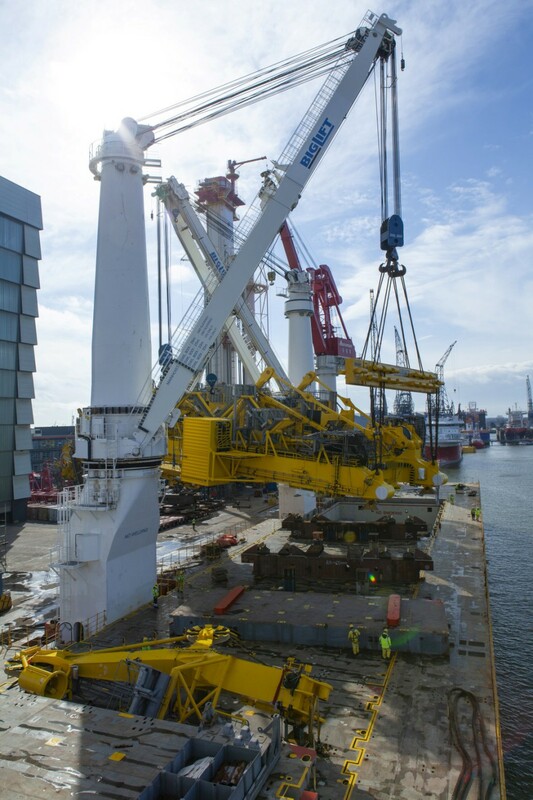 After a fortnight’s sailing, Happy Star will moor directly alongside Skandi Olinda, and use her own heavy lift cranes to up-end the VLS and install it on Skandi Olinda directly. 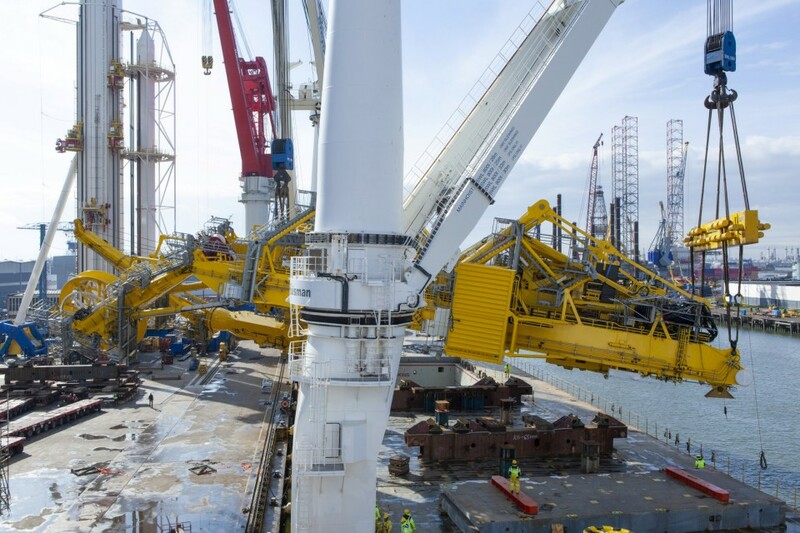 In order to guarantee a successful installation and upending, the tower was tilted 33 degrees prior to loading. 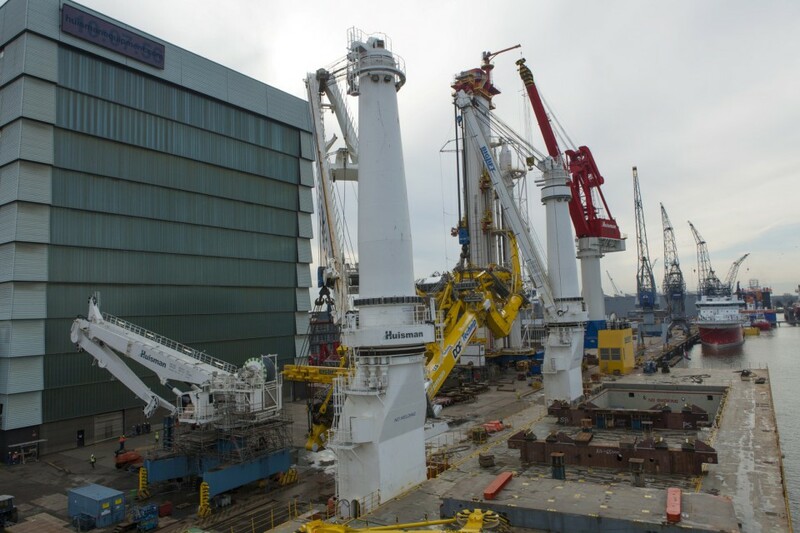 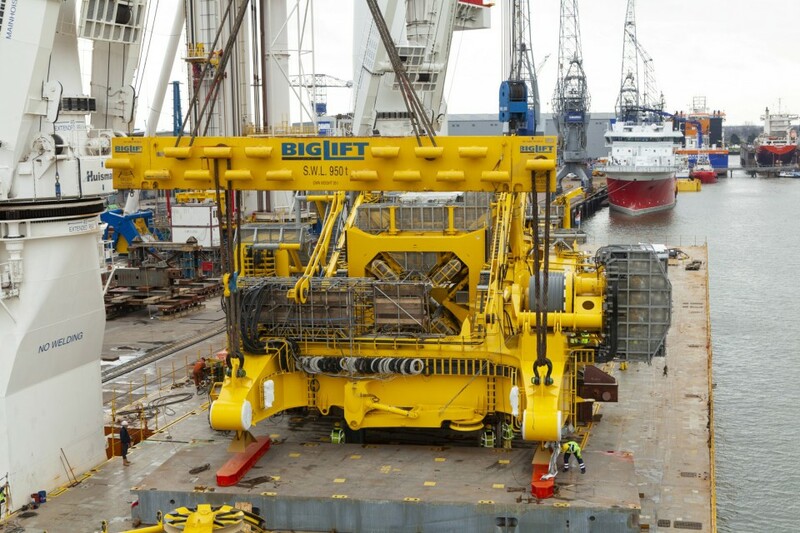 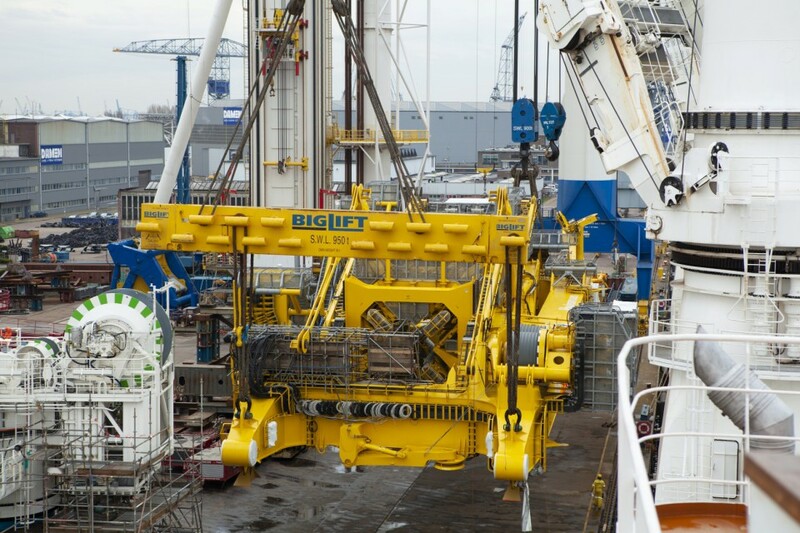 Happy Star will also install the two Knuckle Boom Cranes, also fabricated by Huisman, on Skandi Olinda.